Since the original shaders slightly changed, I needed to update the modifications. You can see the changes on GitHub. And the unitypackage file is also in GitHub. First of all, I have joined Unity Technologies as a software developer!! This means I will be fixing some bugs, doing some code, and more. It’s an amazing place and I’m really happy. Unity has improved their 2d joints user interface, making my last post a bit redundant, however it was still a great learning experience and I will update the project soon ™ to remove code redundancies. I have obtained a Razer OSVR Hacker Developer Kit, and am trying to get it to work with Steam VR, and may contribute to that project there. I like VR and open source, this is a good project. Lately I have been working on an extension for Unity3D. I tried to make a 2D platformer game and I quickly became frustrated with the amount of effort necessary to connect objects. So I use SourceTree and I love it. However it was crashing on me every time I tried to open a repository! Additionally, my visual studio just stopped using line numbers as well, and was giving me an error message. So I looked it up. Ran into this link: http://stackoverflow.com/questions/14897032/visual-studio-2012-line-number-outlining-gutter-missing. For a project of mine, I wanted to have custom clipping planes for objects, so that if an object is intersection with another, it would hide any part after the intersection. I decided to extend the Standard shader provided by Unity3D to achieve this effect. This little snippet allows you to see which objects you are hovering over in the Unity3D hierarchy pane. It also shows which objects are being dragged. Here’s the script. You will need to place this script into your Assets directory, inside the ‘Editor’ folder. If the ‘Editor’ folder does not exist, you need to create it. When the Unity3D editor loads, it calls the static constructor of this script. Then, the HighlighHelper hooks on to the scene view’s GUI callbacks, editor update callbacks, as well as the editor’s Hierarchy Pane’s item callbacks. Whenever the Unity3D editor updates, the script checks whether the user is hovering over the hierarchy pane or not. If so, then it allows the window to get MouseMove callbacks. It’s hacky, but it works! Then, during the MouseMove events, the script checks if the mouse is inside the rectangle of the name label for any gameobject in the hierarchy, and if so, it notes down which object’s name is hovered over. The scene view gui method then looks up if any gameobjects match that ‘instance ID’, and draws some circles around them. It does the same for dragged objects. I hope it helps! If you have any questions, please write it in the comments. Update: I have just created a repository for the script here: https://github.com/toxicFork/Unity3D-HighlightHelper so it will be easier to track any changes or allow any pull requests. Starling Framework’s spritesheets are described by the TextureAtlas XML files. Recently I have donated to the KenneyLand crowdfund and Kenney (www.kenney.nl) has sent me an asset pack containing a lot of spritesheets and other great assets. The spritesheets also came with XML files next to them. I currently use Unity3D as my main development tool and wanted to use these spritesheets for some of my game ideas. I will now explain how I wrote a script to let me easily slice 2D sprites. 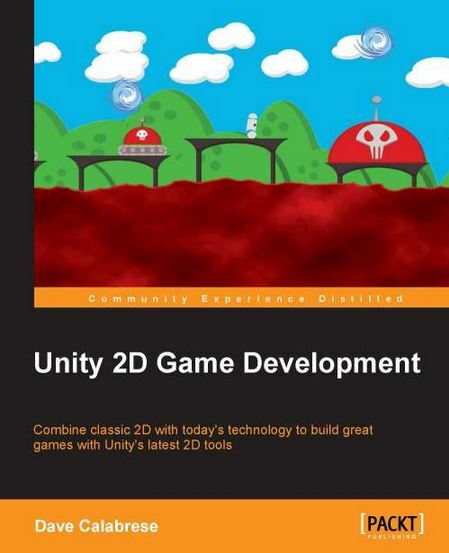 The Unity 2D Game Development book, written by Dave Calabrese and technically reviewed by me has recently been published! You may view it in Packt!